Hypertension or high blood pressure means that your blood pressure (BP) is constantly higher than the normal level, which is 120/80 mm Hg. Blood pressure is the pressure of blood pushing against the coronary arteries that help carry blood throughout the body. This could prove lethal as it increases the risk of stroke and heart diseases. It is also known as the “silent killer” because it shows no symptoms until it gets detected, sometimes years after its actual onset. You might find out about it during a regular health check-up.Approximately 7.1 million deaths per year are attributable to hypertension. 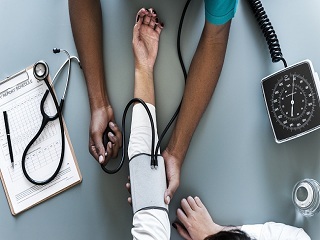 Blood Pressure is recorded in two numbers: the top number is known as systolic blood pressure and the bottom number is called diastolic blood pressure. 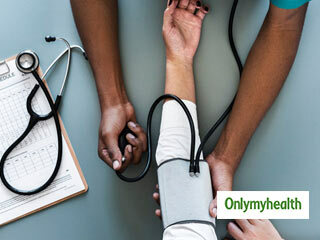 Systolic blood pressure is the force exerted by the blood when the heart beats and diastolic blood pressure is the blood pushing through the arteries when the heart rests in between. No specific cause of hypertension is known yet, but multiple factors contribute to high blood pressure. A person with chronic kidney disease (CKD) could also experience hypertension as in CKD, the kidneys become unable to filter out fluids from the body. This fluid excess leads to hypertension. The signs and symptoms do not occur until a severe stage. A regular checkup is the key to regulate blood pressure. This condition occurs when there is continuous high blood pressure. It hardens the arteries and leads to pernicious diseases such as coronary artery disease. A person is said to be suffering from a stroke when the blood flow to an area in the brain is cut off and those suffering from hypertension are about 4-6 times more likely to suffer from a stroke. 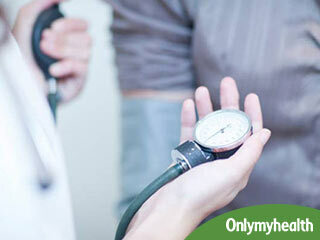 Kidney disease is quite common in people suffering from hypertension. High blood pressure damages the blood vessels, which reduces the blood supply to organs such as kidneys. The filtering units of the kidneys also get affected, as a result, they stop removing extra fluid and wastes from the body. The excess fluid can in turn raise the blood pressure even more. The restricted blood flow in any part of the body can easily damage the blood vessels in the retina. Hypertension gradually develops into eye diseases such as blurry vision inflammation and loss of clarity. Some people may experience complete blindness. One of the deadliest outcomes of hypertension is heart attack. 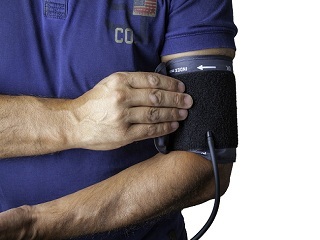 Uncontrolled high blood pressure can cause a heart attack, which could affect your blood flow. Congestive heart failure occurs when the heart has to pump blood through stiff and narrow arteries. Too much stress on the heart causes heart failure—one of the main reasons of death by hypertension. Hypertension among children is rare but it is on an increase, according to various reports. Experts say that obesity is the major cause of hypertension in children. Unlike adults who have essential or primary hypertension, children suffer from secondary hypertension. Kids under three years need regular blood pressure check, especially if there is a history of low birth weight, congenital heart disease, kidney disease or premature birth. Limit sedentary lifestyle like watching TV; do not let them play games for more than two hours etc. Chronic hypertension: starts before the 20th week of pregnancy or before the woman becomes pregnant. This could result in slow or delayed intrauterine growth of the baby. Other possible complications include preterm birth, still birth and placental abruption. Gestational hypertension: The blood pressure increases near the end of pregnancy, but the women do not show any other associated symptoms of high blood pressure. If you have gestational hypertension, the risk of developing a problem of high blood pressure increases later in life. This could also lead to PIH. Preeclampsia or Pregnancy-induced hypertension (PIH): This is an extremely serious condition as it could affect both the mother and the baby if not treated properly. The only way to measure blood pressure is by measuring with a sphygmomanometer (blood pressure cuff). It is a painless procedure and only takes a few minutes. Engage in regular physical exercise such as walking, aerobics, moderate intensity exercises etc. 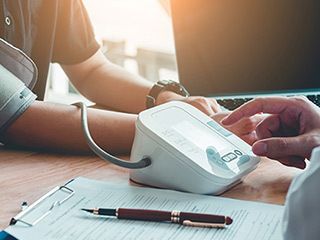 Despite taking these measures, if you still see a constant hike in your blood pressure then your doctor may start medications to bring it back to normal. The goal of the blood pressure treatment should be less than 130/80 mm Hg if you are a healthy adult aged 65 or older, have diabetes, chronic kidney disease or coronary artery disease. 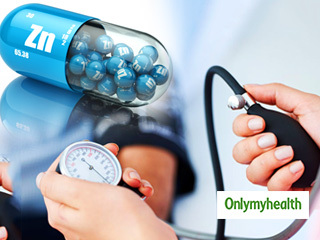 A study has found that a low level of zinc in your body may increase your chances of suffering from high blood pressure. Zinc is a nutrient which helps the immune system ward off bacteria trying to attack the body. Blood pressure is one of the leading causes of cardiovascular disease. For maintaining overall health, we all must understand and maintain a healthy reading of our blood pressure. 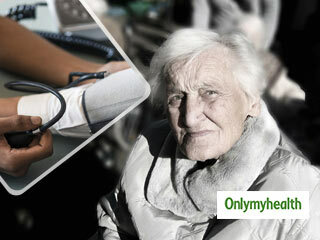 High Blood Pressure can cause severe afflictions, ranging from heart and kidney failure to damaged arteries and eyes. The most commonly known cause of high Blood Pressure (BP) is food. 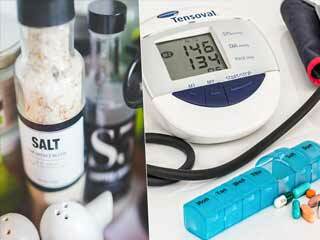 Consumption of items with high Sodium content, meaning too much Salt, can cause high Blood Pressure. Other lifestyle habits such as smoking, alcohol consumption also contribute to high Blood Pressure. 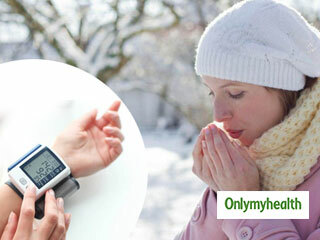 But there is one other cause of Hypertension that is overlooked: Cold climate. According to an online survey, more than 93% of people suffer from some form of hypertension. 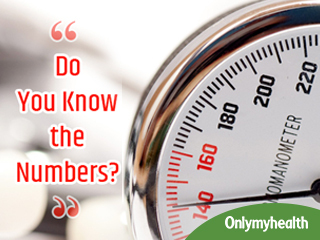 But how much do we really know about hypertension and the numerous kinds that are there? Treatment of High Blood Pressure: Blood pressure treatment goal depends on your health and associated conditions. Learn more here! A new study has found that patients with high blood pressure are at a higher risk of developing dementia. The research also shows that an MRI can be used to detect very early signs of neurological damage in people with high blood pressure, before any visible signs of dementia.